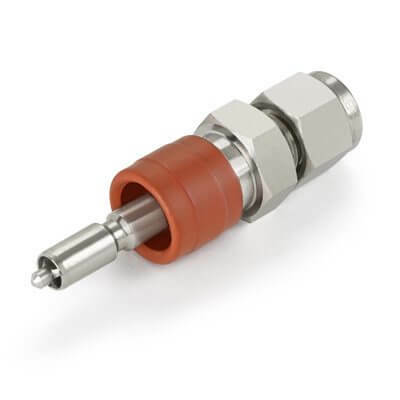 The HAM-LET QC-LOK® Instrumentation Quick Connectors are designed for service in a large variety of applications, with a MAWP of up to 3,000 psig (206 bar). Single-end shutoff (SESO) – Stems have no valve and remain open when uncoupled. Double-end shutoff (DESO) – Stems have valve and shut off when uncoupled.